Cast: Russell Crowe, Paul Giamatti, Renee Zellweger, Paddy Considine, Bruce McGill. Story: Biopic of heavyweight boxer Jimmy Braddock. The time is not right for another boxing movie. I don't know why, call it the zeitgeist, call it intuition, but it's just not. 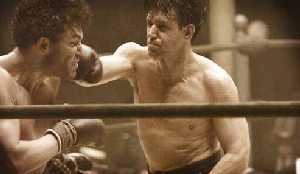 So, despite being an extremely good movie, I predict Cinderella Man is going to bomb. It's a tough ol' business. Cinderella Man is the true-life rags-to-riches story of Jimmy Braddock (Russell Crowe), washed-up heavyweight boxer of 1930s Depression era New York. Struggling to make ends meet, Braddock can barely keep food on the table for his wife (Renée Zellweger) and his three kids and relies on his meagre boxing winnings to keep his head above water. When he breaks his hand, all seems lost. But they wouldn't have made a movie out of a failed also-ran, now would they? Braddock's career gets a fortunate shot in the arm - and that's about all I can reveal. The story should by rights drag like Elton John's dressing up box, but it doesn't feel anything like the two and a half hour running time. Normally with any boxing movie, I'd be bored by the midway point, but director Ron Howard manages to hold the interest very well indeed. After Million Dollar Baby, anything can happen in a boxing movie and I genuinely had no idea how the final act was going to play out. And don't think I'm going to tell you. Russell Crowe wouldn't be my first choice for a heavyweight boxer, he simply doesn't look heavy enough, but he gives a spectacular performance here as the perpetual underdog. 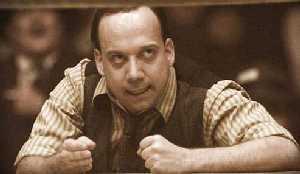 Renée Zellweger lends a hand as his worrisome wife, but it's Paul Giamatti who is best of all as Braddock's coach. Giamatti has become one of my favourite actors in recent times, with excellent performances in Sideways and the ageing Truman Show, and popping up from time to time in the strangest places such as Robots. In Cinderella Man he needed another world class performance and he nails it, in a role that is overtly supportive to Braddock but with a river of hard business sense running beneath the surface. Giamatti has a unique voice that suits a determined character, it sounds like runny toffee and would click beautifully with a wildlife documentary. Cinderella Man was a big fairy tale surprise after the desperately dull-looking trailer made it look like a pumpkin. This is a movie for people who like to be sucked in by a story of perseverance during adversity and will appeal to most viewers, be they boxing fans or not. I was ducking and diving with Braddock and I couldn't give a politician's promise about boxing. Testosterone Satisfaction Rating: 2/5 Many bloody punches. To enjoy this film you should: not be a pacifist. Cinderella Man is released in the UK on 9th September.